To book an appointment, or if you have any questions or queries, please fill in our Request a Consultation form to the right. Once we receive your request we will contact you directly via email to confirm the soonest appointment we have available on your preferred days. 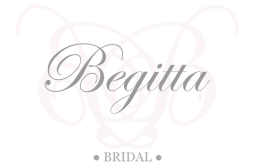 As we generally work made-to-measure/order our sample gowns from our current collections are available for viewing and may be tried on however our samples run in size 8-10. Unlike large bridal boutiques our one-on-one consultations are an intimate process in our little studio. As our space is quite petite we do recommend that you bring a maximum of 2-3 guests. We will do our best to accommodate additional guests but please do confirm your numbers with your booking. *PLEASE NOTE: Fees incurred are non refundable. Fees will be deducted from your final gown purchase. A consultation fee of $150 is payable at the time of booking your first consultation. This fee is deducted from the cost of your gown at the time of booking. Please give us an idea of what days work for you. Please select a month you would like to place your booking. We shall contact you as soon as possible with the date and time of your initial consultation and payment details for your appointment.